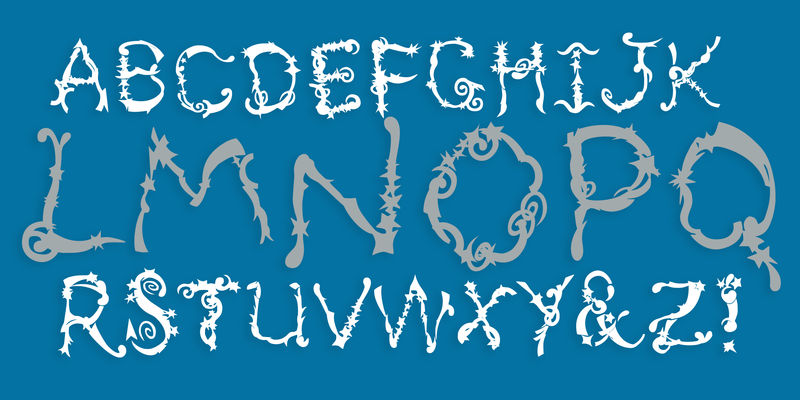 Cosmic Odyssey - Chank Fonts! 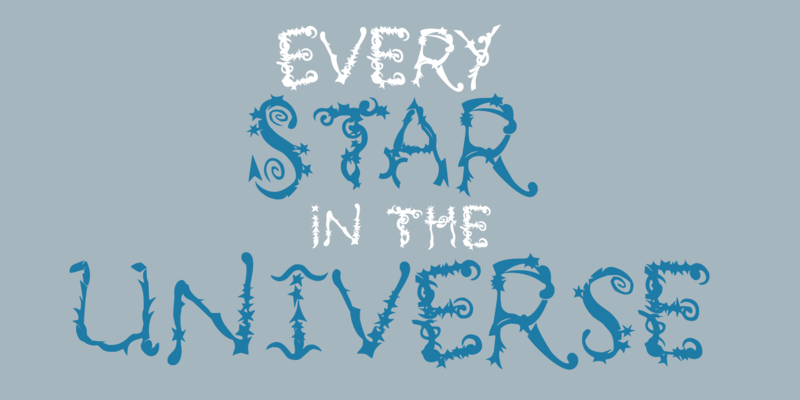 It’s got stars, swooshes, flash and panache with a decidedly cosmic sensibilty, a new font for your journey through the comos. 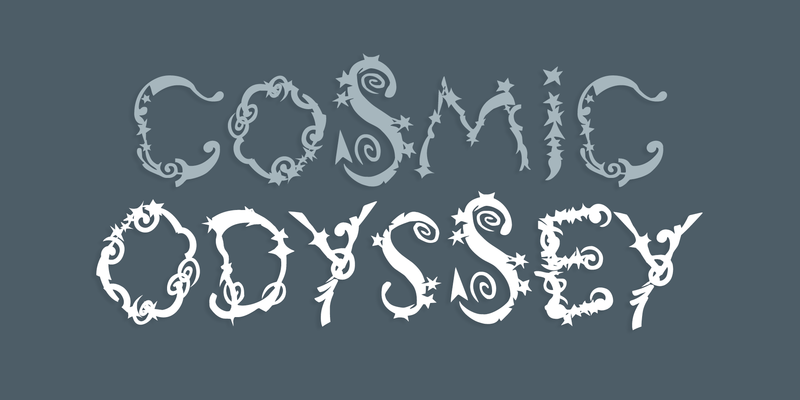 The new free font Cosmic Odyssey began at a font workshop that was held at AIGA-MN’s Portfolio 1-on-1™ event in Minneapolis in April 2014. Participants each made a letter with supplied shapes of comets, stars, spirals and swooshes and then posed for a fun, spontaneous portrait next to the letter they made. 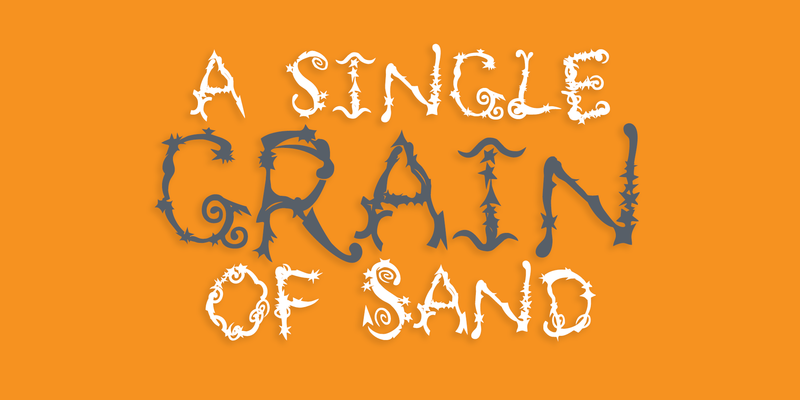 The letters were then cropped closer and converted to outlines and turned into this font you can download today. Thanks to everybody who helped make this font that day! The font workshop was led by Chank Diesel and Jamie Valencour and photographed by Jay Larson. See more pics from the creation of this font at this flickr set here.